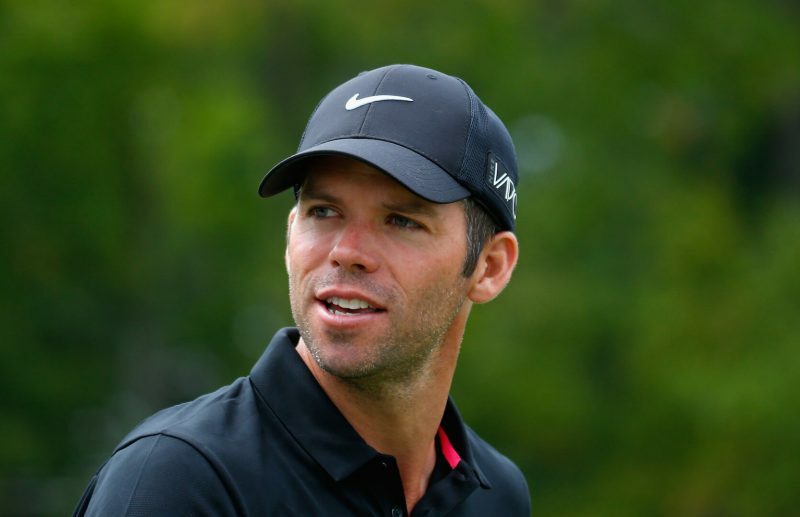 Paul Casey started his final round five-shots back from the leader of 54-holes Corey Conners and four-shot back from Tiger Woods, Brandt Snedeker, and Justin Rose. Casey closed his final round with a 6-under-65 and won the Valspar Championship at Copperhead Course, but only after Tiger Woods failed to post a birdie from 39-feet on the 18th after one from 43-foot, 8-inch successful putt on the 17th to force a playoff, the closest Tiger ever came to winning in last five years. But it came up short. “I dodged a bullet,” Casey said. Casey started his round with a birdie on the first hole, followed by a bogey on the third, and three birdies to close his front nine for a three-under-36. Casey was poised to post three consecutive birdies on 11th, 12th, and 13th holes to take the solo lead and closed his round with five par saves to be in control of the lead. No one caught him, not even Patrick Reed who looked charged up in his final round, giving Casey the opportunity to lift his second PGA Tour Title since the Houston Open in 2009. Making him the second Englishman winner on the same day, Matt Wallace won Hero Indian Open in a playoff against Andrew Johnston in New Delhi, and both are celebrating their second wins on two different Tour’s. Patrick Reed was tied for the lead and it appeared to be headed for a playoff at worst until his approach to 18th came back down the slope, and his 45-foot birdie putt rolled all the way back to his feet. He three-putted for a bogey and 68, tying him for the second position with Woods at 9-under-275. Casey had gone 132 starts on the PGA Tour since winning in Houston, though he had won five times worldwide, including the European Tour’s flagship event at the BMW PGA Championship. He had seven top 5s in the FedExCup playoffs over the last three years. Corey Conners, the Canadian rookie, who started his final round with a one-shot lead, fell back with a bogey on his very first hole and went on to post 6-over-77 for a T-16th finish at 3-under-284 with Jamie Lovemark, Adam Scott, Ryan Blaum, T.J. Vogel, Abraham Ancer, Zach Johnson, Blayne Barber, William McGirt, Luke List, Louis Oosthuizen, and Russell Knox. Justin Rose had a share of the lead on the final day with Tiger Woods after posting an opening hole birdie but lost his plot with two back to back bogeys on 12th and 13th holes for a one-over-72 round, taking his total to 7-under-277 for a T-5th finish with Rory Sabbatini. Sergio Garcia finished the event for a fourth position on the board after posting 65, taking his total to 8-under-276, one-shot far from Woods and Reed. Phil Mickelson’s win at last week’s WGC-Mexico came after 1687 days and Tiger is supposed to complete 1687 days at next week’s Arnold Palmer Invitational. So is a win waiting there for him?